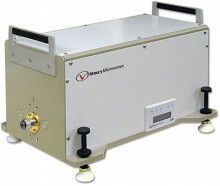 Maury Microwave are uniquely positioned to combine our measurement and load pull expertise with modern solid-state power amplifier design practices to deliver best-in-class Instrument Amplifiers. Our amplifiers satisfy a wide range of application-specific requirements including simultaneous high-power, wide bandwidth, low harmonic power and high linearity. Maury Microwave have developed solutions that are designed around our time-tested and proven uW, RF and mmW products for the Characterisation of semiconductors and components including software suites, Impedance Tuners and accessories.